Brian Burch and CatholicVote.org put together this video to show you what the Catholic vote looks like. …that is, until the flesh is torn away. Hello, (knock,knock). Are You there? 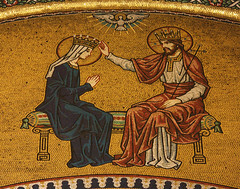 Here I am Lord,sitting, kneeling, prostrate in spirit before You, adoring. 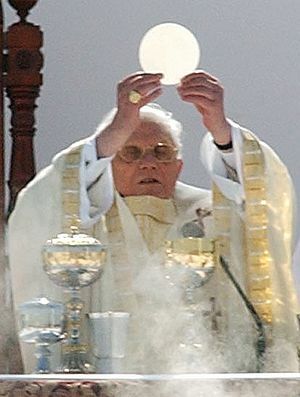 Who You are in Your glory lies hidden under the appearance of this Holy Bread before me. You have revealed to Your Church the wonder,and magnificence of Your living Presence. With Mother Church, I extol Your beauty. Truths come to mind and I give assent. I am married to You, O Holy Bridegroom. 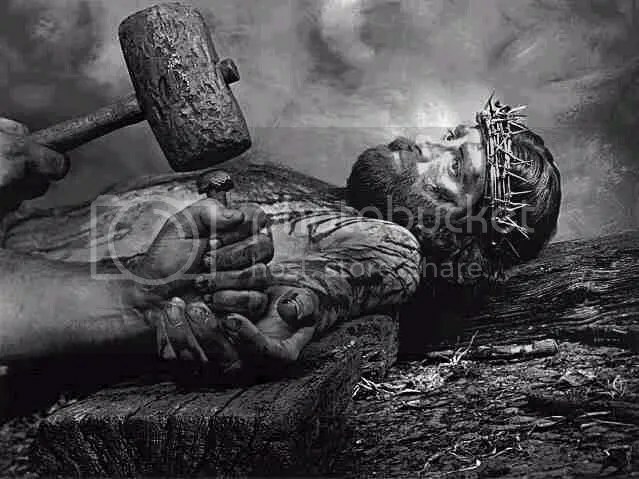 In the fullness of time, I will embrace You with a glorified vision and body, but, for now, I reach with heart and mind’s eye to catch a glimpse of this splendid Truth hidden as it is ‘neathe Bread and Wine and broken Body on a Cross. Favor me with an increase of love and desire, until my longing tears free from all that holds me captive still. I know my blindnss and have seen my foolishness. In my poverty and need, I seek refuge here before Your eyes. Your Truth, Your splendid Truth be mine! These are such glorious Truths; I can not comprehend them in their reality and breath. I can only glimpse them and cry out in hope and faith. My adorable Lord, looking upon me now as always, gather to Yourself, the groans and sighs of Spirit born,unto Your memories as so many Communions and Resurrections of spirit, as chains of Love in Time, but always only One Adorable Lord.